Military veterans and civilians, too, are suffering from Post-Traumatic Stress Disorder. Many are finding relief with marijuana, but even in some medical marijuana states, its use is not approved. MAPS' Psychedelic Science 2013 conference in Oakland showcased important research on MDMA and the treatment of PTSD (as well as lots of other cool stuff). 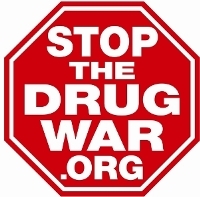 The drug czar's office released the 2013 National Drug Control Strategy Wednesday. It talks a good game, but much remains the same. With the introduction of the Justice Safety Valve Act of 2013 in the House this week, now both houses of Congress have the sentencing reform bill before them. The US Supreme Court has held that an immigration judge went too far when he ordered the automatic deportation of a Jamaican man who resided in the US for most of his life over the possession of 1.3 grams of marijuana. The first dispensary in Phoenix has opened, dispensaries in Washington, DC, are ready to go, and there has been more federal enforcement activity in California. US Rep. Steve Cohen of Memphis has introduced a bill that would create a national marijuana policy commission similar to the 1971 Shafer Commission. Ten states have seen marijuana legalization bills this year. Now, add Puerto Rico. A Missouri man is dead after allegedly shooting a shotgun at a police SWAT team that was executing a search warrant at his home. There are problems at a Maryland state prison in Baltimore, fallout continues from a bust of crooked cops in suburban Chicago, and a jail guard goes down in a Texas border town.